We have a lot of potential world class athletes but what they need is support, says a businessman. All Make Group of Companies’ director Mohamed Rifayaaz Khan said financial backing was important as it enables athletes to be exposed to a higher level of competition where they are able to get to their full potential. “If we see what happened here as we watched our young boxing talents they all have the potential to make it but they just need the right support,” Khan said. His company is currently sponsoring Fiji featherweight champion Krishna Mudalliar who convincingly knocked out Paula Sauniveikau in the first round. 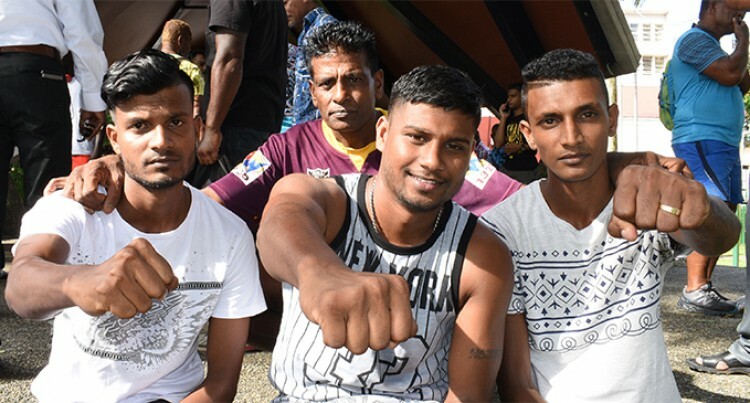 Mudaliar comes from a boxing family in Tunalia, Nadi where his elder brother Krishnil holds the Fiji bantamnweight title while younger brother Sachin has been unbeaten in the professional ranks. Khan called on the business sector to support our local athletes. “Because when they make it, they not only make a name for themselves but more importantly they make the whole nation proud by putting Fiji on the world map. “Look at our sevens rugby team, with the right backing and right people, they won the Rio Olympics gold medal for Fiji. “The same can be done for boxing and other sports as well,” he said. The only Fijian boxer to hit the top 10 rankings of the World Boxing Council was welterweight champion Sakaraia Ve in the late 1970s.